For this tutorial, I will be making purple and black toppers with silver letters. I used Wilton gel food colors in violet and black. And the silver is CK Products Nu Silver dust. 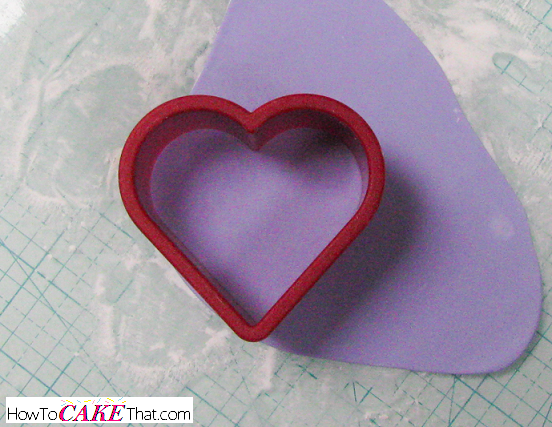 To begin, color a blend of 50% fondant, 50% gum paste with the Wilton Violet gel. Roll out the fondant mixture on a work surface dusted with cornstarch. 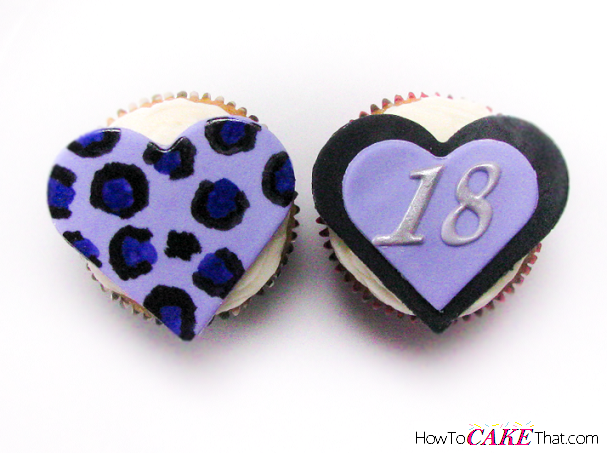 Using a heart cutter in a size appropriate for the cupcakes, cut out the desired number of leopard print toppers. 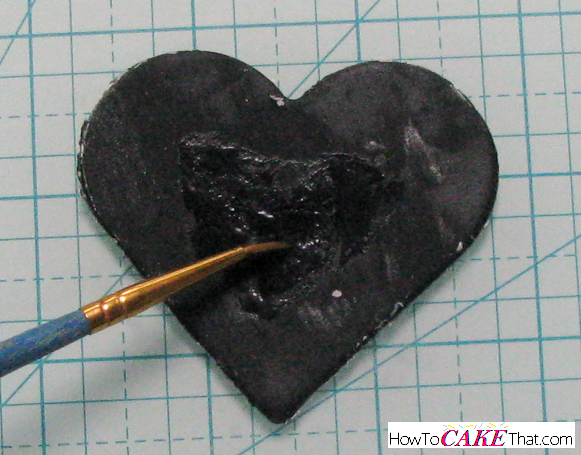 Next, color a mixture of 50% fondant 50% gum paste with the Wilton black gel. 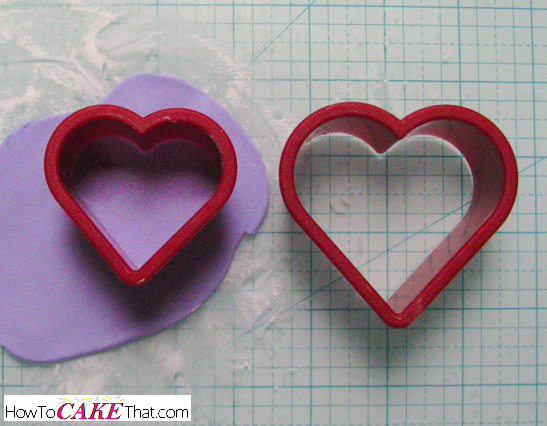 Roll out the black fondant mixture and using the same size heart cutter as before, cut out the number of hearts needed for the number topper. 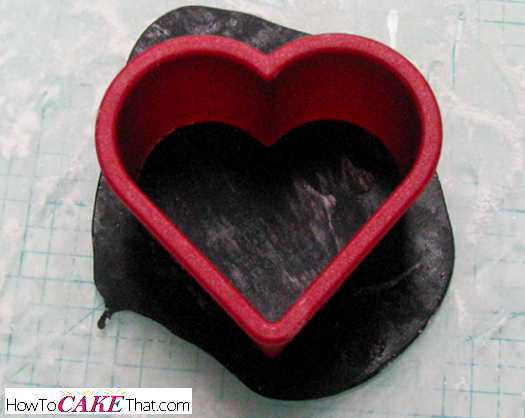 To add the second layer to the black heart topper, roll out more purple fondant mixture. 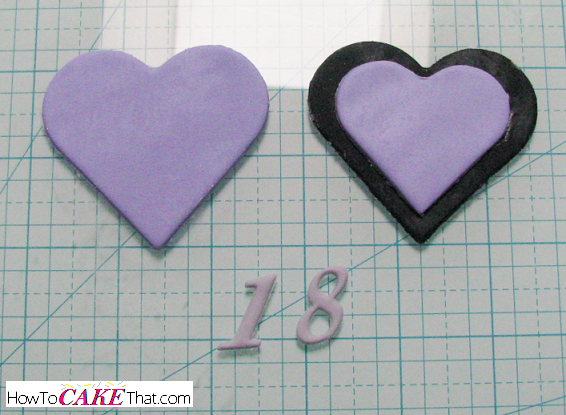 Using a heart cutter one size smaller, cut out the same number of purple hearts as black hearts. 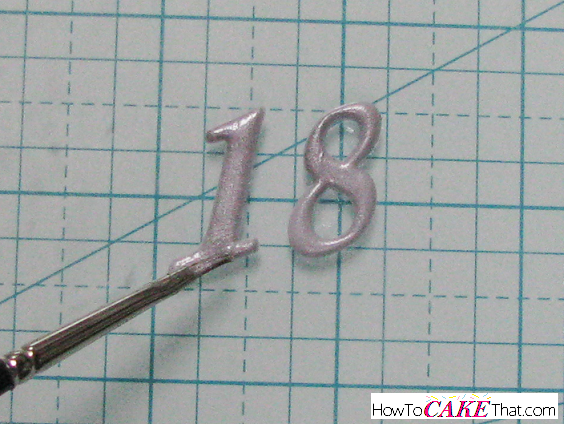 To make the silver numbers, color fondant light gray and roll out on dusted work surface. Using a number cutter, cut out the numbers needed for your topper. I am using FMM Tappits cutters in Script. 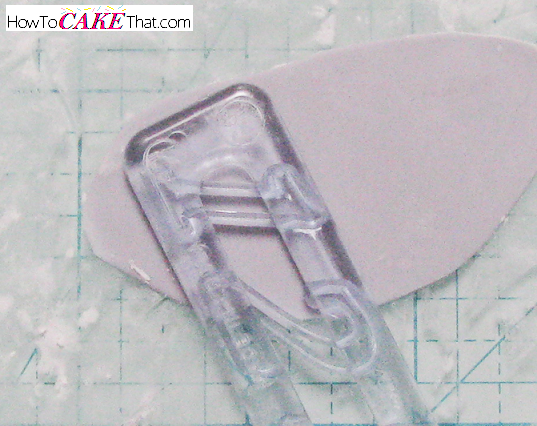 If you need help with your Tappits cutters, check out this easy tutorial: How To Use Tappits. Now it's time to layer the black heart. 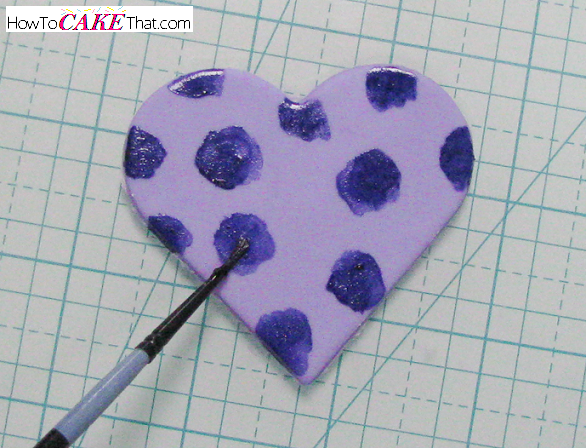 To do this, brush a little water onto the center of the heart where the smaller purple heart will sit. Allow all pieces to dry overnight. After the pieces have dried overnight, it's time to add the details. Mix the violet gel color with a little alcohol (150 proof or higher) to create a watercolor-like paint. 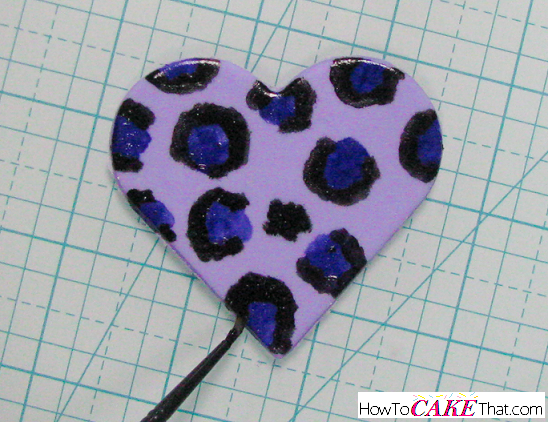 Paint leopard spots onto the large purple hearts. Next, blend black gel color with alcohol and paint around the purple spots to complete the leopard spots. Allow paint to fully dry. To paint the numbers silver, add alcohol to the silver dust to create a paint, and paint directly onto the numbers. Allow paint to fully dry. Once the numbers have dried, brush a tiny bit of water onto the backs of the numbers and place them onto the black and purple hearts. Once the numbers have set, and the leopard spots are completely dry, they are ready to use! Place them on the cupcakes just before they are to be displayed or delivered.